Wemhöener (Changzhou) Machinery Manufacturing Co., Ltd., a German-owned company, focuses on wood surface and wood-based panel processing technology. New technologies are developed at the highest level and quality standards are optimized, always in close cooperation with their customers. Wemhöener sets worldwide standards with its short-cycle press lines, its 3D press technology with its patented 3D Variopress® system, its lightweight panel equipment and its direct printing and lacquering equipment. The German parent company, Wemhöener Surface Technologies Limited, was created in 1925 and is located in Herford, the German Ford city, and has 3 mottos: technology, quality, innovation, the three corner stones of their success over more than 80 years. 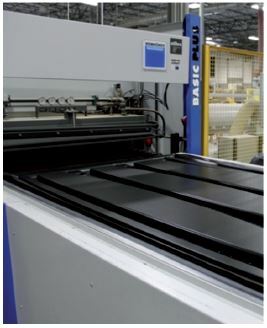 Traditionally linked with the wood based panel industry, the furniture industry and their suppliers, the company’s 300 employees now produce machines and equipment for high-quality pressing and lamination of wood based panels. Wemhöener provides complete system solutions which guarantee optimal, reliable production processes, due to the perfect combination of technology and the company’s decades of engineering experience. An international focus and the continuous efforts to create new ideas are the reason for the global success of Wemhöener Surface Technologies. Wemhöener (Changzhou) Manufacturing was founded in 2006 with the intention of being a presence in the most important future market for the production of furniture. 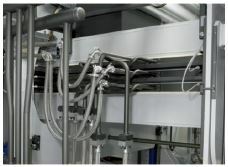 The first factory outside Germany has been in operation since the summer of 2007. As a German-funded enterprise, Wemhöener (Changzhou) Machinery Manufacturing Co., Ltd., the Chinese subsidiary was receiving its first technical drawings directly from its headquarters with no need for electrical design input from Chinese engineers. But with the development of the Chinese market and the increase of their customer base, the company started to receive more and more customized requests. Onsite engineers had to produce innovative customized designs for different customers. They decided to acquire a professional electrical design software to help them design complete electrical schematic diagrams in a fast and efficient way. elecworks™ allows easy identification of different documentation and makes the project drawing structure clearer. elecworks™ can connect PLC pins automatically; can show location and functional specifications of each pin in the engineering drawings. The PLC input/output points can be split across multiple drawings or can be shown on the same page, including the PLC card position in the drawings and the input/output specifications.